(WBIR-SEVIERVILLE) The man who led police on a short chase through downtown Sevierville on Monday has now been charged. Robert F. Nunley II, 43, of Tracy City, Tennessee, was charged with felony evading arrest; felony vandalism; reckless driving; aggravated assault; vehicle theft; possession of burglary tools; and using a stolen vehicle license plate. Additional charges are pending. The search for Nunley began with a burglary at Lee’s Total Healthcare Pharmacy in Sevierville early Monday morning. Three male suspects were involved and left the business in a black Land Rover. Around 12:40 pm, a Sevierville Police (SPD) officer spotted a Land Rover matching the description of the suspect vehicle at the intersection of Main Street and North Parkway. The license plate had been reported stolen. The officer attempted to stop the driver. Instead, the driver took off through the downtown area. Investigators said said the driver made several u-turns and drove through business parking lots in an attempt to get away. At one point, he even jumped over a four foot embankment. 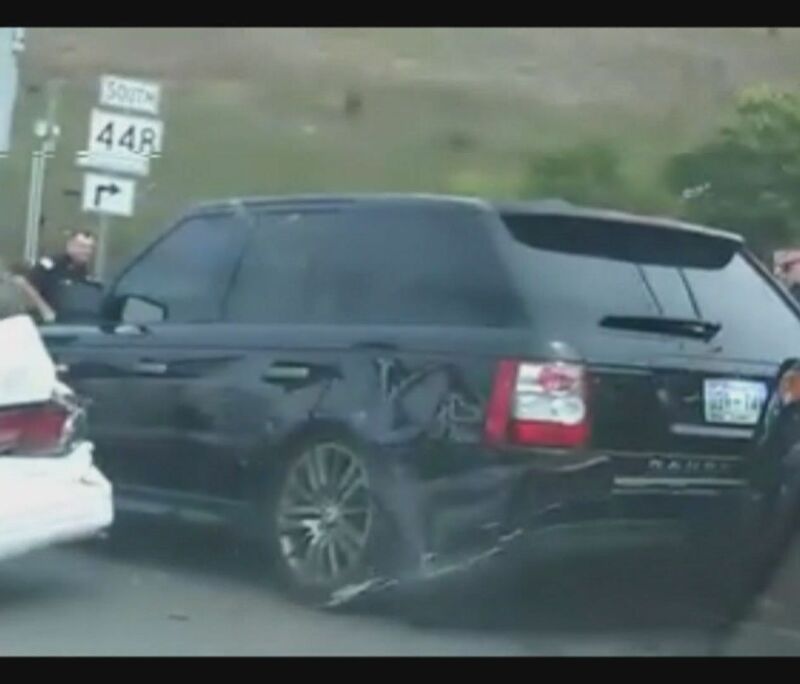 Finally, the Land Rover crashed into another vehicle on Highway 66 that was then pushed into two other cars. Two SPD cruisers were also damaged, but no officers were hurt. After the crash, the driver, later identified as Nunley, attempted to flee on foot but was quickly stopped and arrested by SPD officers. Three bystanders were transported to the hospital for treatment of non-life threatening injuries.